We stock a large range of blast frozen baits for the sea angler from the most common and widely used through to more specialist baits. We also have some exclusive products such as oiled blacklug which have grown hugely in popularity and need no looking after so you will always have good bait in your box. 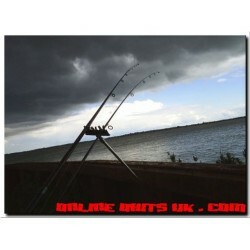 The Beach Pack is a new product which is a selection of various baits ideal to take for a trip to.. This is a packet of frozen Blacklug that are approx 6-8 inches long sometimes bigger. They are ro.. This is a packet of Bluey's. There are 3 per packet. Their correct name is Pacific Saury. Th.. This product is likened to the giant horse mussel meat we used to supply, but can't now get. This.. This is a NEW 1/2Kg slab of cart bait, ideal for anglers who may want to use it in other ways suc.. This is a NEW 1/2Kg slab of 100% cart bait, ideal for anglers who may want to use it in other way.. This is a 150g packet of softback crabs legs and claws. They are ideal for tipping off and are re.. These are blast frozen english peelers frozen in the shell at -40 as the shell is lifting making ..
fully prepared foreign peeler crab very good size and will easily make 2 baits from each crab.These ..
Hermit crabs are becoming more widely used not only as a replacement for peelers when out of stoc..
50 Good Size Male Peeler Crabs ..
Cuttlefish are a surprisingly under-rated bait. They are a member of the Octopus and squid family.. This is a 1Kg bag of Herring heads. Ideal for using as groundbait for deep sea fishing for Conger.. Herring is a bait which can be used across the board. It can be used for both Pike and Sea fishin..
Online Baits UK is a growing business with the aim is to supply the angler with an extensive wide range of top QUALITY baits, at very affordable prices, and we will never knowingly be undersold on any product. 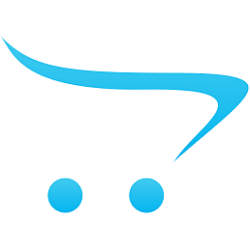 Copyright © 2015, Online Baits UK, All Rights Reserved.